It has come to my attention that today is National California Day, so I thought I would share that information with my readers. Also, to celebrate, I’m sharing a blog post from 2012. 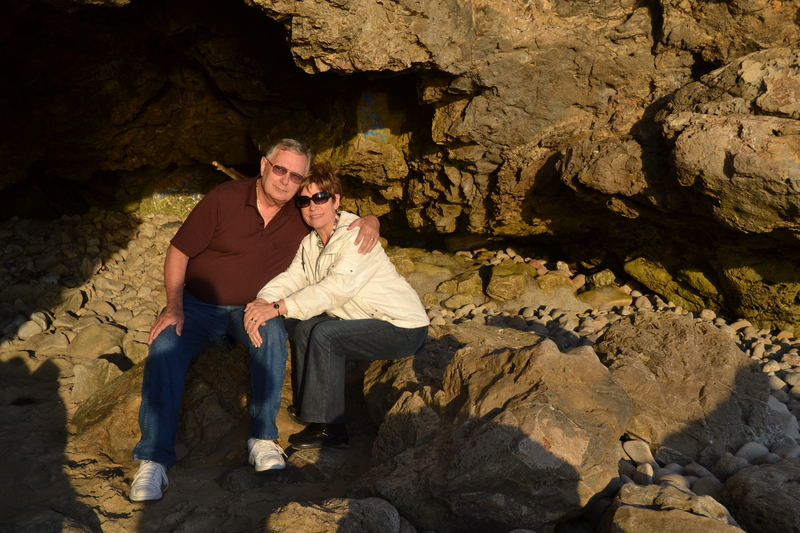 We had just returned from a trip to California with our friends, Bev and Bill. The beaches of California are so very different from ours here in Virginia and on the nearby Outer Banks of North Carolina. 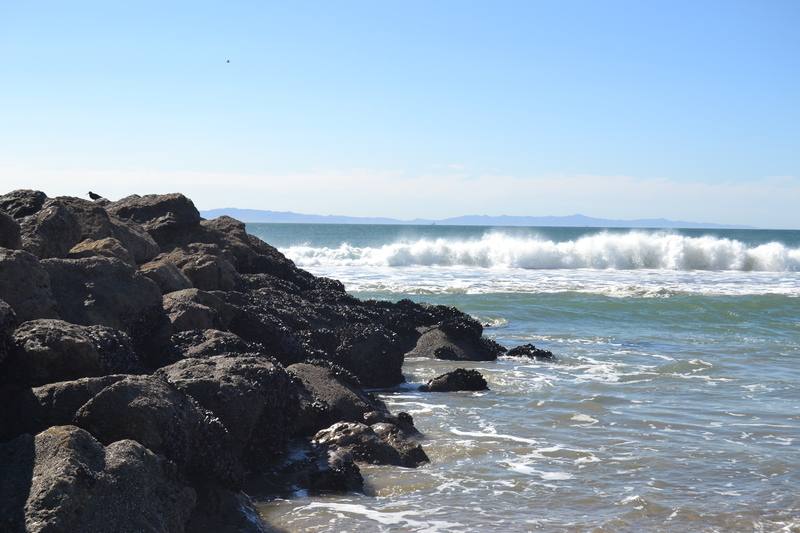 California beaches have high cliffs and rocks. Big rocks. 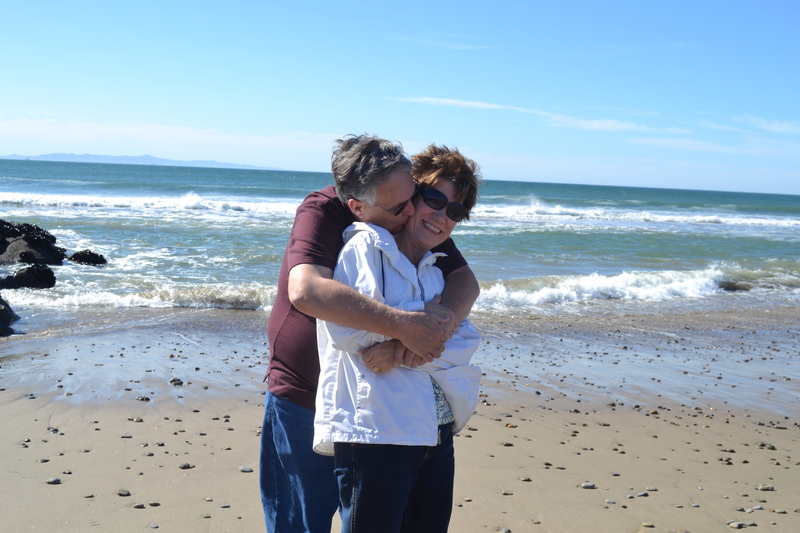 Although January isn’t exactly beach weather, we visited several California beaches during our trip. 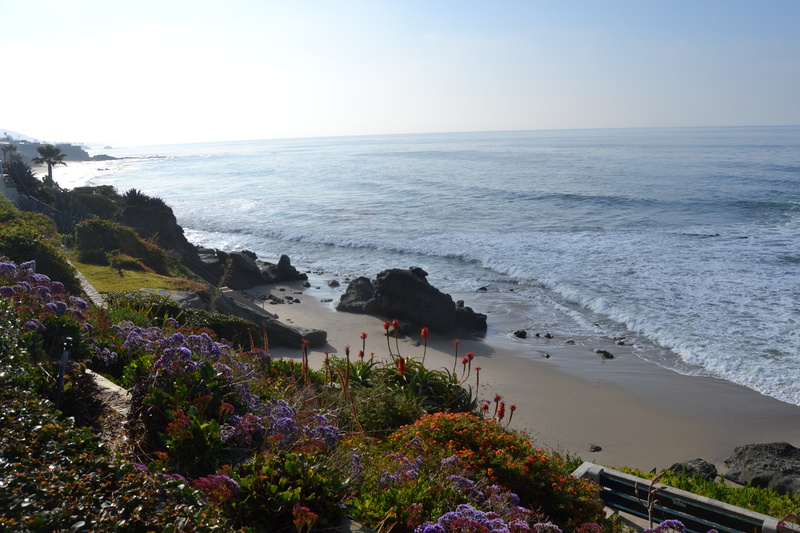 We turned off Coast Highway onto a street in Laguna Beach and found this amazing view. 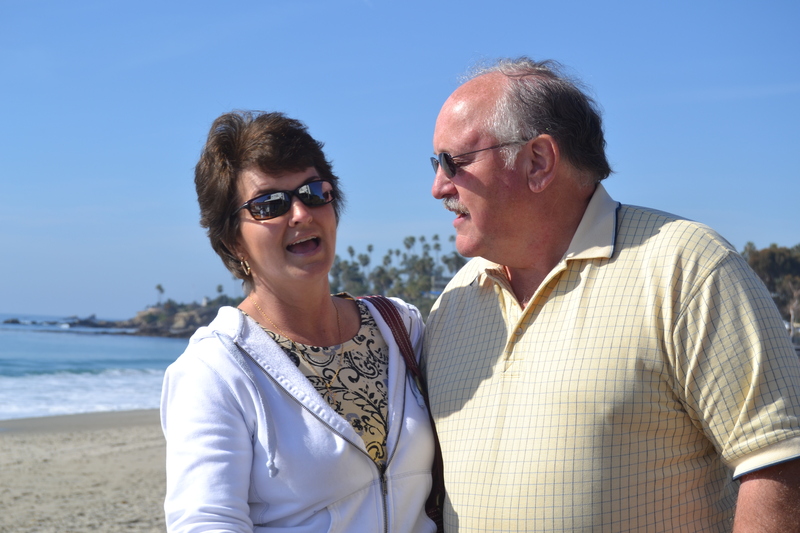 And this is one of my favorite pictures from our trip: Bev and Bill, sharing a playful moment ON the beach at Laguna. One day we drove to Venice Beach, where another of my favorite photos was taken. 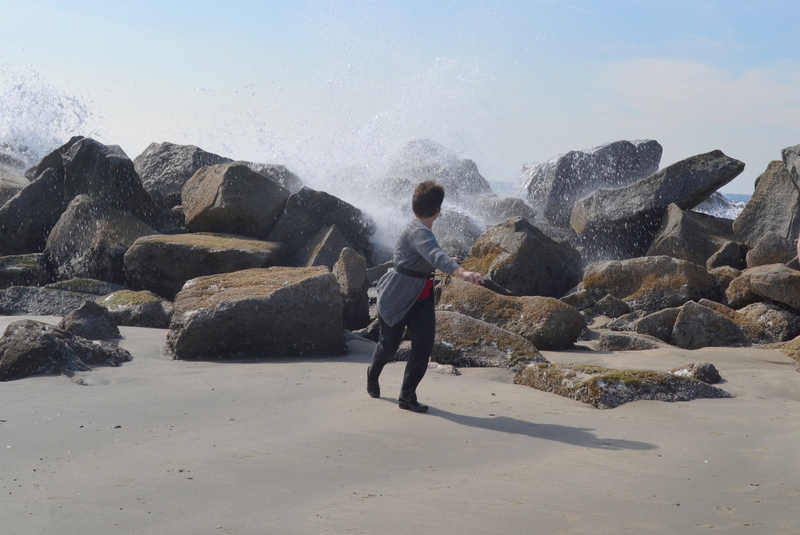 I told Bev I’d take a picture of her with a wave crashing against the rocks in the background. Oops, that was just a little too close for comfort. 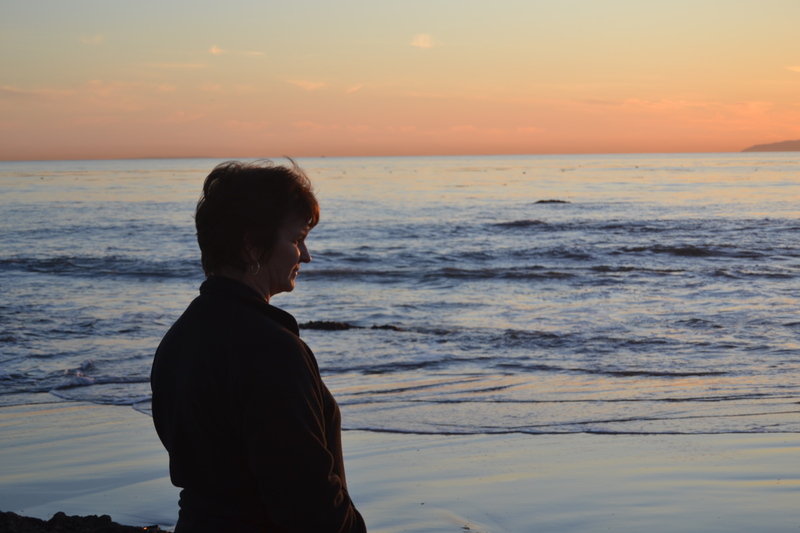 Later in the week, we drove further north to Ventura Beach. And Bev took one of my favorite pictures of Motor Man and me. This sunset photo was taken in Newport Beach. And another favorite picture of Motor Man and me just outside a cave there by the ocean. We had a great time visiting California, but our home state, of course, is Virginia. So I researched and learned that National Virginia Day is September 14. 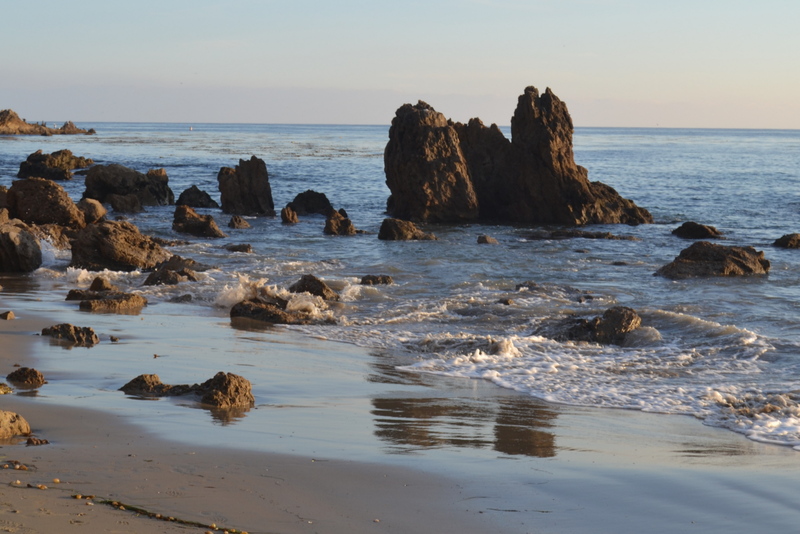 This entry was posted in Traveling Days and tagged california, crystal cove, national virginia day september 14, natonal california day, newport beach, venice beach, ventura beach. Bookmark the permalink. Beautiful! Another place I’d love to see in person! Thanks for taking us along, again. A beautiful place to visit but I feel that way about a LOT of places in the world. As much of the world as I’ve seen, I still love Virginia the best! Thanks for bring us into California Day!! Love the pictures. Chuck has been toCalifornia for work many times Me not. Would love to visit someday. Very different look to the beaches there.. Some great pics of yall- those candids are the best sometimes !